Car manufacturer Audi and telecommunications technology provider Ericsson plan to test the use of the emerging 5G mobile phone and network technology for automotive production for the first time. To this end, the two companies have signed a Memorandum of Understanding at Audi's headquarters in Ingolstadt (Germany). The project focuses on the Industrial Internet of Things (IIoT), also known as Industry 4.0 The aim of the cooperation is to investigate the potential of 5G as a future-proof communication technology that meets the high demands of automotive production. 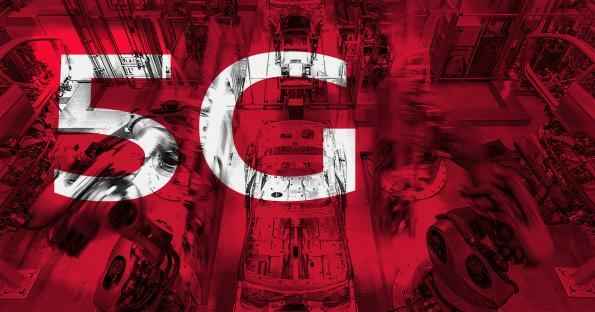 In the coming months, a team of experts from Audi and Ericsson will set up a test field with a 5G radio cell in a pilot plant at the Audi Production Lab in Gaimersheim near Ingolstadt. According to experts, the fully networked factory will have a major impact on future production. A powerful network architecture that can react in real time is of great importance for this. "As part of the Ericsson project, we are testing the opportunities offered by 5G technology for industrial applications in the smart factory," says Frank Loydl, Chief Information Officer of AUDI AG. In addition, it will be explored whether 5G can also be used in other factories within the Audi Group. Ericsson says it already runs 5G industrial programs around the world. According to the Swedish company, this is intended to help manufacturers increase their productivity and create new business models. 5G technology has many network characteristics that are essential in modern production with increasingly flexible and complex production processes. For example, 5G allows higher data throughput rates and more network capacities and promises highly secure availability. In addition, low latencies ensure faster reaction times between different systems in the factory system. In their test field, the partners focus on a particularly latency-critical application: The team tests the wireless interaction between an industrial robot and an adhesive application - an automated process that is the order of the day in automotive production. Ericsson's proof-of-concept (PoC) network used for this purpose is designed to integrate alternative or complementary technologies to those currently in use - such as WiFi or cable-based connections of production components. Next Item：Why Are Automotive Wiring Systems Experts Getting Excited about the Digital Twin?